This week we ask you which soap would you most like to see a spin-off from. The most recent example of a soap spin-off is EastEnders: E20, the internet based spin-off revolving around four teenagers who took up residency in Albert Square. Hollyoaks is probably the soap with the most spin-offs though with Hollyoaks Later and Hollyoaks: In The City just two examples. Once again we provide you with an article some of the previous spin-offs from our soaps. Believe it or not the first proper spin-off from the BBC One soap wasn’t E20 but Civvy Street – a one- off special set in Albert Square during the Second World War. Civvy Street aired on BBC One in December of 1988 and told the story of some of the residents of Albert Square and their war time activities. Amongst the characters to feature where Lou Beale, Ethel Skinner and Reg Cox – the man found dead in the very first episode of EastEnders. Albert Beale, the much mentioned husband of Lou Beale, was also amongst the characters. The episode was written by EastEnders creators Julia Smith and Tony Holland and it was originally hoped that Dot Cotton would feature too but it turned out her character was too young – Dot’s wartime story was told years later in the 2000’s soap-bubble ‘Dot’s Story’. More recently was the teen-orientated and internet based spin-off “EastEnders: E20” which was a huge hit with audiences. The spin-off revolved around four characters; Zsa Zsa, Leon, Mercy and ‘Fatboy’ who take up residency in a flat on George Street, just around the corner of Albert Square. The 12 episodes chronicled their adventures in the flat and featured a few cameos from regular EastEnders characters. All four characters are now part of the regular cast of the main soap. 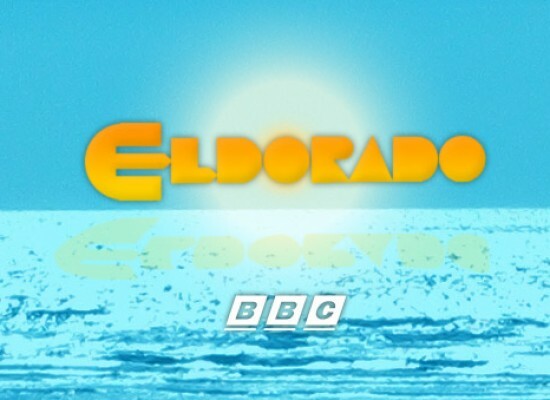 The success of E20 has led the BBC to state it could develop more spin-offs from the soap in the future. The soap has also produced several one-off “soap bubble” episodes that centre usually on a character that has left or a particular period in a character’s history. Amongst those featured in these “soap bubbles” where Ricky and Bianca’s reunion in Manchester, Dot Cotton’s evacuation from London during the Blitz, the return of Nick Cotton and the origins of the feud between Pat Butcher and Mo Harris. Another soap bubble, Perfectly Frank, was produced in the hope of a spin-off series. There has also long been rumours of a Mitchell orientated spin-off possibly titled “Up West” but despite the occasional tabloid story on this nothing has ever made it to screen. You’ll have to go way back to the 1960s to find one spin-off from Coronation Street; a comedy titled Pardon The Expression! The comedy followed the story of Leonard Swindley [Arthur Lowe] after he left The Street. The character of Leonard was a regular character in the soap for several years managing a local department store and enjoying a romance with Emily Bishop – the two were due to get married but Emily got cold feet and jilted him at the alter. After leaving the soap Arthur Lowe was signed up for this comedy spin-off which lasted for two seasons. Pardon The Expression! Had its own spin-off a sequel series in 1967 which once again starred Arthur Lowe as Leonard in Turn Out The Lights – fired from the department store he managed Leonard now becomes an astrologer and encounters various supernatural events as he travels around the UK. In the 1980s another comedy spin-off series from Coronation Street was produced although few probably realised that The Brothers McGregor was a spin-off from the Granada soap. The publicity material for the comedy series barely mentioned it and so the majority of viewers were probably barely aware the comedy had been spun-off from the soap. Wesley and Cyril McGregor appeared in a 1982 episode of Coronation Street as two friends of Eddie Yates from Liverpool who turned up for his engagement party. The writer of the episode John Stevenson liked his two creations and was encouraged by Julian Roach and Bill Podmore, producer of Corrie at the time, to develop a comedy based on the two characters. In 1985 The Brothers McGregor arrived on television and ran for 26 episodes over three years. The series starred Phillip Whitchurch and Paul Barber who replaced the original actors from the Corrie episode. In the end the series was axed because of low ratings but when it launched 15 million tuned in mostly aware of the origins of the new comedy. In the 2000’s ITV were keen to launch a spin-off from one of its soaps [Emmerdale, Coronation Street and The Bill] and so producers on Corrie developed a possible spin-off set in the factory, Underworld. ITV orders 15 or so scripts for the spin-off but in the end they opted for a modern-day based spin-off from its 1960s medical drama The Royal. As stated above in the 2000’s ITV were keen to launch a new spin-off from one of its established soaps in a daytime slot. The broadcaster had unsuccessful launched two soaps in 2001 in its daytime schedules; new soap Night & Day and revived Crossroads. Neither soap was the ratings success ITV had hoped for and both were cancelled within two years – so with the cancellation of the two soaps ITV looked at it’s established soaps to produce a new hit. While Coronation Street developed a spin-off revolving around knicker-factory Underworld the proposed Emmerdale spin-off revolved around the Vet’s practice in the village; ala The Chase/ All Creatures Great and Small. In the end ITV opted for The Royal Today. Perhaps the soap with the most spin-offs to date with Hollyoaks Later and Hollyoaks: In The City being two prime examples. Other spin-offs from the soap include Let Loose which followed the characters of Ben [Marcus Patric] and Lisa [Gemma Atkinson] after they left the main soap; they also featured in In The City where Ben was seemingly killed off. Movin On was another spin-off from Hollyoaks and the soap has produced 9 late-night specials and two straight-to-video adventures. In 2002 Seven Network were keen of developing a spin-off from the Australian soap which they hoped Five would pick up – as the UK broadcasters of Home and Away. The original idea for the spin-off was to follow several characters after they left Summer Bay for University and the spin-off was titled Away From Home. However, Five were not interested in the idea which meant the whole idea had to be reworked and spinning it off from Home and Away had to be dropped. Instead the drama became Headland with no connections to Home and Away at all. Poll: Should Tuition Fees Rise?